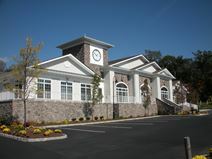 Office Space - Pine Brook, New Jersey. Executive offices with plush furnishings available in this centre. This centre is close to the I-280. Comes equipped with the latest technology and offers an exclusive business location. Many administrative and postal facilities offered. Free parking available.